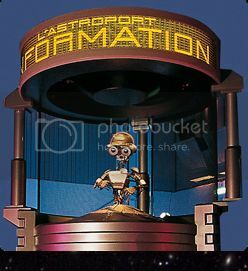 What will be the new Star Tours 2 destinations? 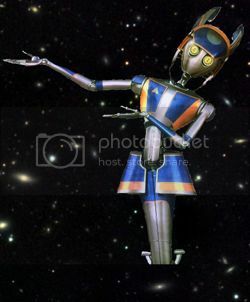 We knew already that the Starspeeder 1000 will go at Tatooine to participate in the Boonta Eve Podrace - picture below - and also to Coruscant - picture above. Tom Fitzgerald released recently this "spaceport" screenshot showing the new destinations. ...and a trip to the icy planet Hoth. 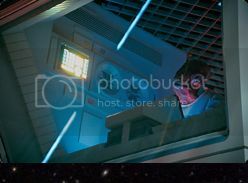 Of course, no Star Tours adventure would be complete without an unexpected visit to the Death Star, this time above the planet Geonosis". 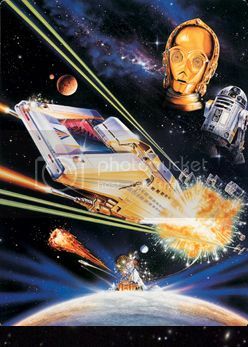 The Geonosis scene is the one painted on the rendering showing the Starspeeder being chased by Boba Fett vessel with in the background the first Death Star under construction. 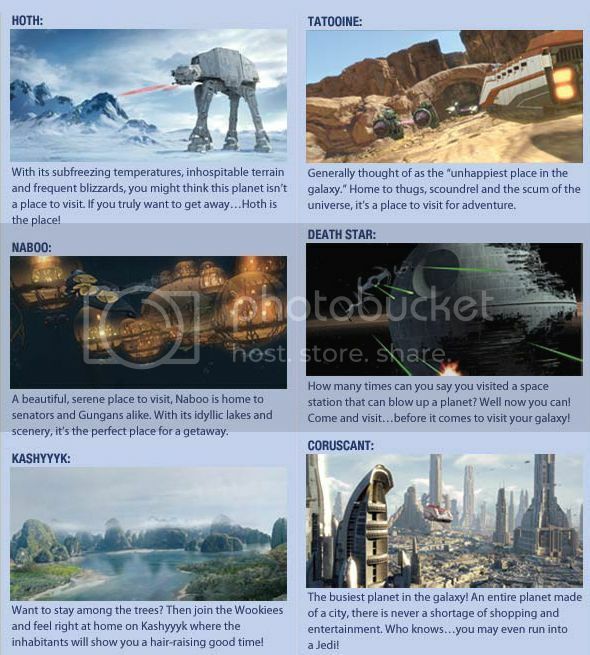 Also released on the new Star Tours mobile site this guide of ST2 destinations. 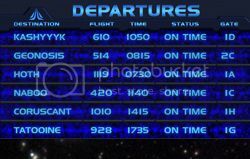 Some weeks ago this Star Tours queue video was also released showing some of the Starspeeder 1000 destinations. 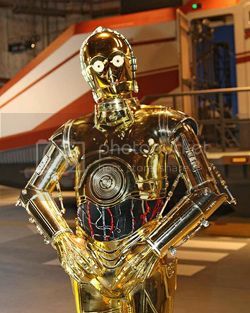 Star Tours 2 open next month at DHS and it's going to be a very exciting moment!